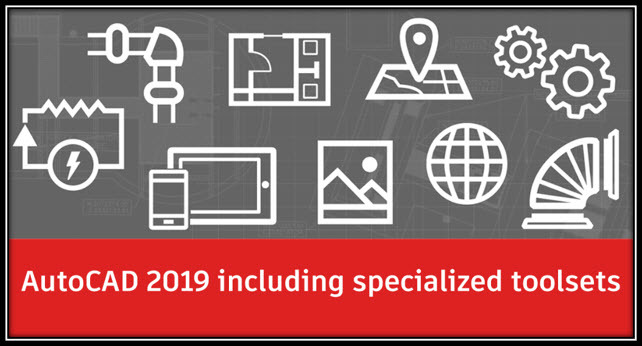 AutoCAD 2019 is now available; includes specialized toolsets!! Architecture Toolset: Use specialized building design features and 8,000+ intelligent architectural objects and styles to speed architectural drawing and documentation. 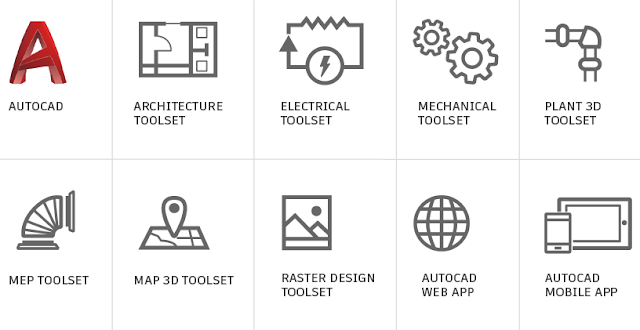 Mechanical Toolset: Use specialized mechanical design features and 700,000+ intelligent manufacturing parts, features, and symbols to speed product design. Electrical Toolset: Use specialized electrical design features and 65,000+ intelligent electrical symbols to boost productivity for creating, modifying, and documenting electrical controls systems. 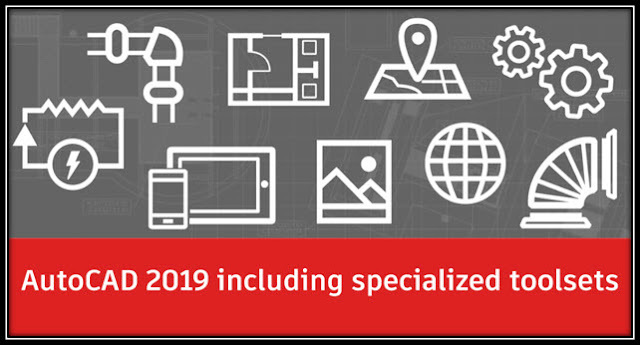 MEP Toolset: Use specialized MEP engineering features and 10,500+ intelligent mechanical, electrical, and plumbing objects to draft, design, and document building systems. Plant 3D Toolset: Use the specialized plant design and engineering toolset to efficiently produce P&IDs and then integrate them into a 3D plant design model. Map 3D Toolset: Use specialized mapping features to incorporate GIS and CAD data to support planning, design, and data management. Access spatial data stored in files, databases, and web services, and aggregate it with your AutoCAD design data. Raster Design Toolset: Use raster to vector tools to help you edit scanned drawings and convert raster images into DWG objects.